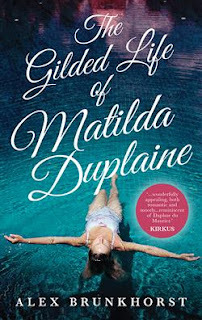 Thanks to everyone who entered last week's Friday Freebie to win a copy of The Gilded Life of Matilda Duplaine by Alex Brunkhorst thanks to JAM PR. Congratulations Carly, you'll receive an email shortly letting you know about your win, and as soon as you've provided your postal address, your prize will be mailed out to you. If you missed out this time, please stay tuned for more great giveaways.